Strong leaders have high expectations for themselves and others. For the most part, high expectations are good for business. The Golem effect has been demonstrated countless times in classrooms, and it makes sense. If teachers think students are dull or incompetent, the students are generally not going to expend effort trying to prove their teachers wrong. The so-called Pygmalion effect is named after Pygmalion, sculptor of Greek mythology who fell in love with a statue he created. It’s essentially the opposite of the Golem effect. The Pygmalion effect has also been demonstrated in classrooms: when teachers expect good performance from students, student performance tends to rise to the challenge. You’ll see both these phenomena in the workplace as well. Hence, it’s good to have high expectations from employees, because they will tend to go on to fulfill those expectations. There is, however, a limit. Once high expectations cross the line into unrealistic expectations, consequences can be disastrous. In the short term, the effects of unrealistic expectations can include higher absenteeism, cost overruns, poor quality work, and missed delivery dates. Leaders must be able to recognize when their high expectations become unrealistic expectations. High staff turnover is one consequence of relentless, unrealistic expectations. Strong communication is the key to keeping expectations high as well as attainable. The best way to find out if you set unrealistic expectations is to ask team members if they think your goals for them are obtainable, or if they sometimes feel like you’re setting them up for failure. Clearly define deadlines, but avoid adding requirements without considering whether deadlines should be adjusted. Again, it’s appropriate to ask team members how long they think a task will take, or what they need in terms of resources to fulfill added requirements or meet tighter deadlines. To be able to do this, you must first have strong trust and good communication with your team members. Team members will naturally be skeptical of an “invisible” boss who suddenly asks their opinion about project goals. If you’re not communicating well enough to establish and sustain trust, then leadership coaching can help you turn things around. Standards and expectations are contagious, in that when people see someone set and achieve high standards for themselves, they tend to want to imitate the behavior. That’s one reason why it’s so important that leaders set high standards for themselves and work hard to meet them. But there can be too much of a good thing. Continually striving to be better is good, but making standards impossible to reach without more resources, more time, or more people can seriously set a business back. 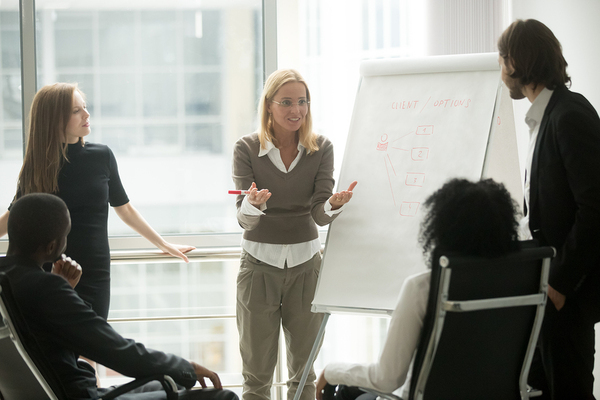 Leadership coaching is all about helping leaders continue to develop their strengths while recognizing and learning how to address their shortcomings. And if one of those shortcomings is being so enthralled by high expectations that those expectations become unobtainable, leadership coaching can help. It’s not easy to look at one’s own performance and recognize that it plays a role in poor team performance, but it is necessary in order to turn things around. If you would like to explore the topic of leadership, expectations, and performance in greater depth, I invite you to learn more about my executive coaching services.